A Pius Geek: The Dragons are Coming! The Dragons are Coming! My Dragon Award list this year boils down to "what is eligible in which categories." If you published between 7/1/17 and now, link me. 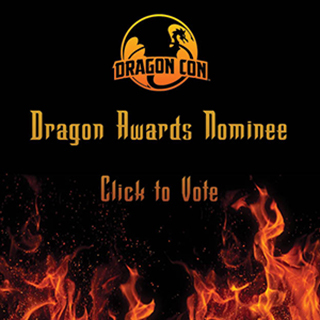 If you have something you'd like to suggest, link me -- with the author name, title, and what Dragon Category / categories you want to suggest it for. The full list of categories is here. ALSO, if you have an entire list of your own thoughts, link me. I'm posting Jon Del Arroz's Happy Frogs list in my posts. I'll take any one else's. My goal is to basically make a book discussion list. Where everyone can see everything that's come out, and do it to the best of my ability. Which isn't much, but everything gathered in one place is a handy reference. If you don't have your ballot filled out already (either IRL or in your head,) here's my list. It includes the lists of other people, so there are options. Guest Blog: Winter is Coming. So? Latest reviews on "Demons are Forever"